LoA_Christmas is Coming. Let's Party! Christmas is coming! LoA is inviting you to join our Christmas Party! You must have planned quite well for the great festival, and so do us in LoA. We have planned wonderful events, and introduced new angles and Heroes, and well-prepared gifts. Let's check out what' do we have in this party. This is the button of our journey, click it. Ready? Let's go! 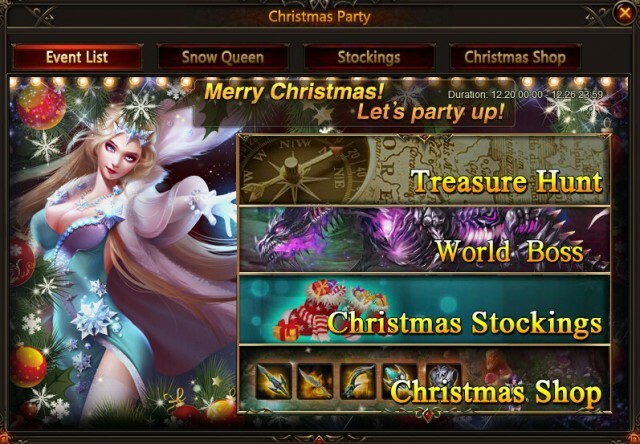 Click the icon of Christmas Party, and you will see four events. 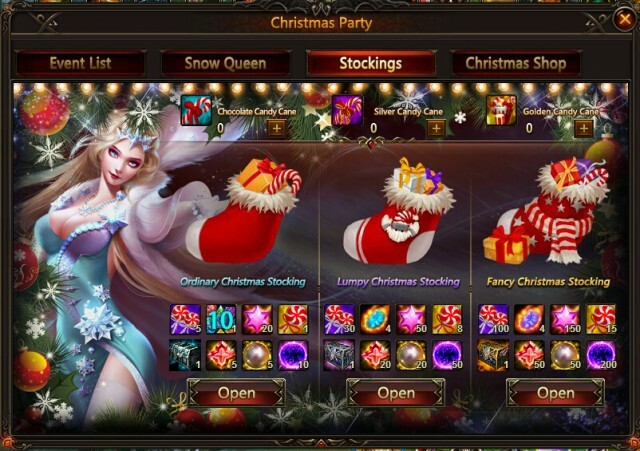 They are Treasure Hunt, World Boss, Christmas Stockings and Christmas Shop. 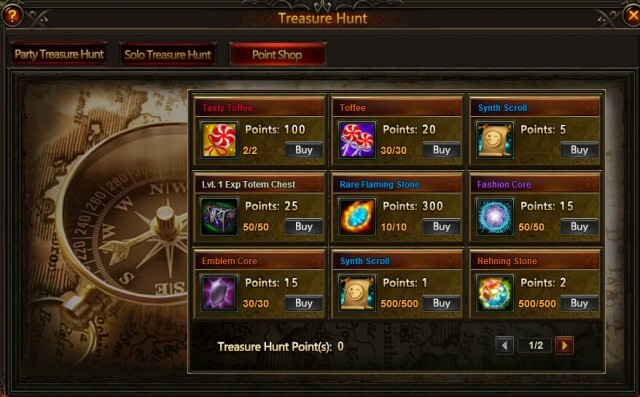 In the Point Shop of Treasure hunt, you can use your points to buy Christmas Tokens Super Lollipop and Lollipop, which can be used in Christmas Shop to get rare Icon, Crest, Mount Soul and Skill Book. Lollipops, Gem Enhancement Stone, Seraph's Stone, Blessed Stone, Soulstone, Treasure Hunt Chest and Flaming Stone are waiting for you in the stockings! There are 3 kinds of stockings for you, with 3 kinds of Candy Canes to open. You can get Candy Canes by achieving hot events, or purchase by diamonds. You wanna to test your luck? Well, you could never know how lucky you guys are until you open the stockings! You may ask, how to deal with the Lollipops I have got? Ok, here comes a chance for you, to exchange items by the Lollipops! 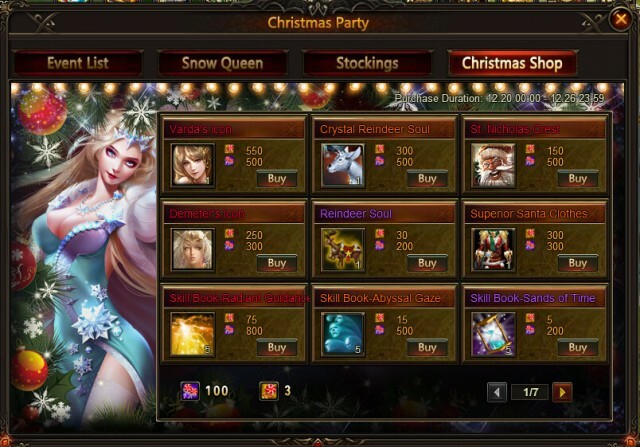 Here you can get New mount Crystal Reindeer, new angel Varda, New Hero Santa, New Fashion Supper Santa Clothes and many other rare items. Now you may wonder where you can get the Lollipops and Candy Canes. Ok, it's time to go to Hot Events! Description: Reach certain achievement to get Super Lollipop in the event! Description: Complete daily challenges, cheer for Christmas! Description: Spend certain Diamonds and collect Treasure Hunt Chests! Description: Recharge certain amount of diamonds to get rare items for Christmas! Description: Complete certain requirements and your will get various Pirate Treasures! Description: Complete certain requirements and your will get many diamonds as rewards!